There’s a colleague at my office — we’ll call him the Young Fogey — who hates being thanked. It’s not that he thinks people should be unappreciative. No, he just hates getting that “thanks” email that frequently serves as an awkward effort to finally bring the lingering email chain to an end. The first email poses a question, the response seeks clarification, the next email provides it, the following email gives an answer . . . and when the process finally ends, the Young Fogey gets that “thanks.” He hates it, because it clutters his inbox. “You don’t need to thank me!” he thunders. I understand the Young Fogey’s point, because sometimes email conversations can be an exhausting, protracted process. How are you supposed to end that long email chain in an appropriate way? Just moving on after you ultimately get the answer to your question seems kind of cold and curt, like you’re ignoring what the other party to the conversation did. On the other hand, the closure process can be . . . ungainly. But I don’t think we should discourage people from saying “thank you” when they’ve been helped, either. 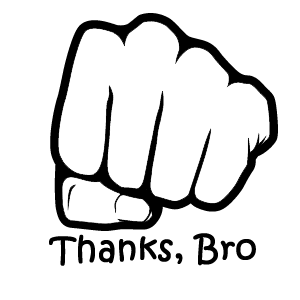 We could always use more manners and politeness in the world, and people who routinely say thank you just tend to be more pleasant to be around. In fact, when I get the final “thanks” email, I often respond “No problem! Happy to be of assistance.” — which no doubt would really drive the Young Fogey around the bend. I’m not a fan of a cluttered inbox, and sometimes it can be a challenge keeping it to manageable levels. Those “thanks” emails, though, aren’t really the problem. I think the Young Fogey needs to take a deep quaff of Metamucil, accept those “thanks” emails with good cheer, and reflect on the positive fact that the people he’s working with feel the need to express their appreciation for his help and insight.